Experience the culture and landscape of the Mississippi River Delta and other gulf states through our galleries. Recreational fishing is big business in Louisiana, generating more than $3 billion in economic impact every year. In some places in the state, it is possible to set out from one dock and catch everything from largemouth bass to yellowfin tuna. 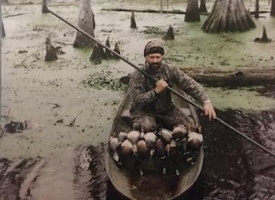 Louisiana is called Sportsman's Paradise for a reason. 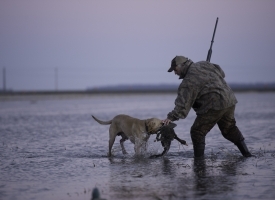 The diversity of habitats provide homes for an abundance of migratory and year-round wildlife supporting a robust wildlife tourism industry that attracts sportsmen and women from across the nation. 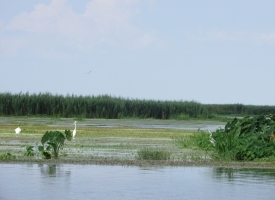 The wetlands, estuaries, and barrier islands of the Mississippi River Delta provide habitat for migratory birds, waterfowl, economically important finfish and shellfish, and more. However, the delta is experiencing the highest rate of wetland loss in the United States--losing a football field of marsh every 100 minutes. 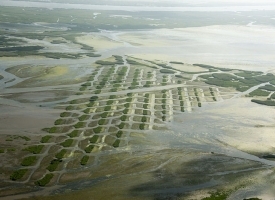 The Bay Denesse Delta Water Management Project could restore approximately 2,550 acres of less productive open water to a diverse array of highly productive habitat types, including emergent marsh, rooted floating vegetation mats, mud flats and more. Also known as Mississippi River Reintroduction into Maurepas Swamp, this diversion project, near Garyville, Louisiana will channel of fresh water and some sediment from the river to benefit the eastern Maurepas swamp.